In this article we will cover almost everything you need to know about Peruvian Paso horses adoption. So if you’re trying to make up your mind about buying this breed, you need to be aware of everything before you make the investment. Why are these horses up for adoption? People put these Peruvian Paso horses up for adoption because sometimes they are unable to afford the expenses that go into maintaining and keeping a horse. Besides that, some owners have a change in lifestyle and a horse isn’t suited for the kind of lifestyle they are about to start, so they give their horse up for adoption. Before the adoption workers feel that the horse is ready for adoption, they inspect it well and see if it was friendly with its previous owners and that they are healthy. You need to make sure that you have a good place for the horse to stay in. the stable must be of a proper size. Adoption workers inspect everything before they approve of the adoption, so you need to make sure that the place to stay is clean, large enough for movement, safe and has protection from excess rain, sun, heat and cold. 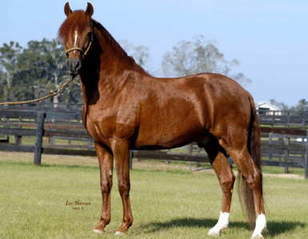 Peruvian Paso horses are animals that like to socialize. So, before you adopt one, it’s better if you make arrangements for it to stay with its kind. These horses also like to graze. If you don’t give them enough room to graze (the average distance being 20 miles) you will find many health and behavior problems in the horse. These horses live for a long time, about 30 years, so you need to be prepared to accommodate a horse in your way of living. Once you adopt the horse, you will incur expenses of $2500 or above, per year. You need to provide for shoeing, stalls, vets and vaccinations, medication, feed, grooming etc. adopting the horse is not the only expense so you need to account for all of the expenses mentioned above and more. You need to be careful about its cleaning and training, so you will need to take out time for these activities as well. If you are renting a stall for your horse, you need to ask the boarder all these questions to make sure that your Peruvian Paso horses are receiving the best arrangements that are possible. You need to be prepared for inspections and paper work once you’ve adopted. After that you’ll find that adopting a Peruvian Paso is better than buying one because before being rescued, these horses live very hard lives. Once they are rescued and receive care and compassion, they are grateful for it and respond in a better manner to their owners. We will recommend adoption over buying a horse because you are able to get a healthy, beautiful horse in a reasonable investment!